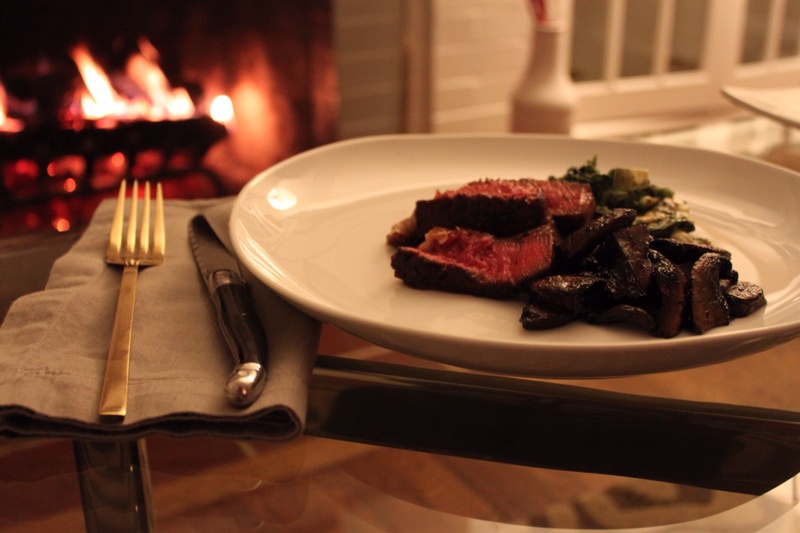 If your’e looking for the perfect fireside — or TV side (hello, House of Cards) — cozy meal this weekend, I got you covered. It’s hearty, spicy and stick-to-your-ribs good. Stop worrying about Spring waistlines, I see no way out of this frozen tundra anytime on the horizon. So, here it is. Spicy, coffee and cocoa rubbed ribeye steaks. A hint of smoke from smoked salt and paprika. An unusual taste of espresso and cocoa crusted on a juicy steak with the help of a sprinkle of brown sugar. So delicious. 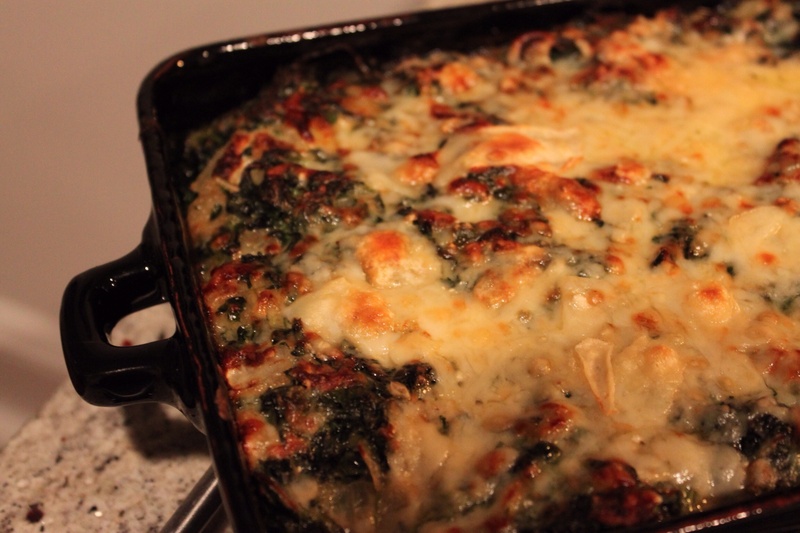 And served with the most rich spinach gratin that comes out of the oven bubbling with cheese. Ina’s recipe for spinach gratin is EXTREMELY rich and the recipe makes enough for an army of hungry men. It’s certainly delicious and the most tricky technique for hiding spinach. If you’re making this for two, I would recommend making a forth of the recipe. What’s hold you back? Get the store. 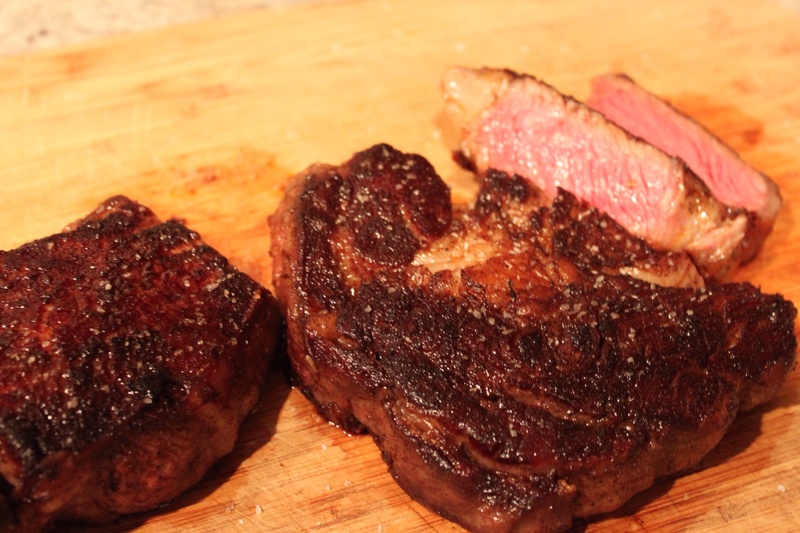 The Fresh Market has a sale for NY Strips this weekend – those will work too! Combine all spices and salt. Rub heavily on steaks. Cook in a cast iron skillet or on a grill to desired temperature. I like my ribeyes around medium-rare! Allow the steaks to rest and cut into nice thick slices.